The aim of this study was to evaluate whether sublobar resection could achieve recurrence and survival rates equivalent to lobectomy in high-risk elderly patients. We conducted a retrospective multicenter study that including all consecutive patients (aged >75 years) who underwent operation for clinical stage I non-small cell lung cancer (NSCLC). The clinicopathological data, postoperative morbidity and mortality, recurrence rate and vital status were retrieved. The overall survival, cancer-specific survival and disease-free survival were also assessed. Two hundred and thirty-nine patients (median age 78 years) were enrolled. 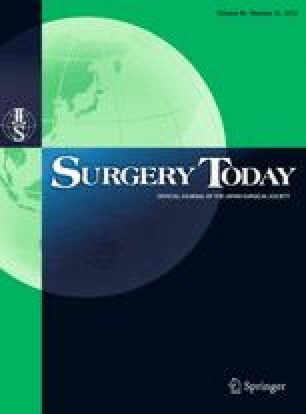 Lobectomies were performed in 149 (62.3 %) patients and sublobar resections in 90 (39 segmentectomies, 51 wedge resections). There were no differences in the recurrence rates following lobar versus sublobar resections (19 versus 23 %, respectively; p = 0.5) or the overall survival (p = 0.1), cancer-specific survival (p = 0.3) or disease-free survival (p = 0.1). After adjusting for 1:1 propensity score matching and a matched pair analysis, the results remained unchanged. A tumor size >2 cm and pN2 disease were independent negative prognostic factors in unmatched (p = 0.01 and p = 0.0003, respectively) and matched (p = 0.02 and p = 0.005, respectively) analyses. High-risk elderly patients may benefit from sublobar resection, which provides an equivalent long-term survival compared to lobectomy. The authors declare that they have no conflicts of interest and received no funding for the present paper.